Buy POS System. in four simple steps. 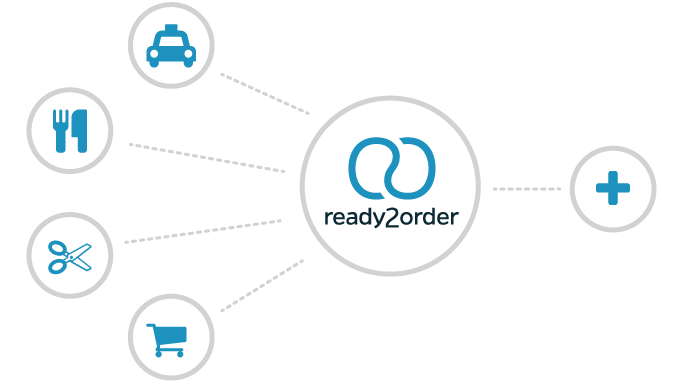 ready2order is a point-of-sale software for restaurants, retail, doctors and many other industries. Manage your business with ease in the cloud, no matter if you already have hardware or are looking for one. Manage and Sell. at the same time. ready2order is designed to be functional and easy to use at once. The point of sale system allows you to keep track of your stock and manage purchases. 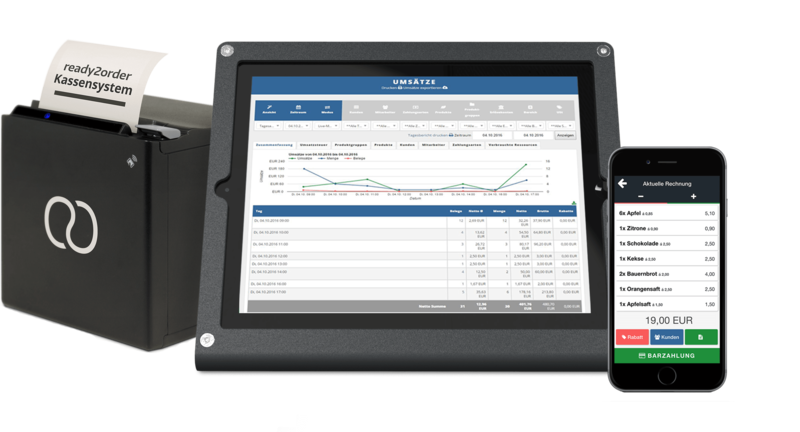 It works on iPad, Mac or PC, and can be connected to all the latest hardware – barcode scanners, receipt printers, cash drawers. Multifunctional POS. like a Swiss-Army knife. No matter if you are a small or a big retailer - ready2order fits for every industry. Define custom types of payment and manage all your suppliers in one place. Create a comprehensive table-overview, schedule work shifts and compare shifts with eachother - all in one central management hub. This makes the POS software perfect for catering. ready2order's point-of-sale software fits the needs of the entrepreneur - not the other way around. No matter what industry you are working in - with ready2order you can never go wrong! Our Customers. speak for themselves. POS Information. for a perfect start. Can I define multiple payment methods? Yes you can define as many payment methods as you want (e.g. vouches, partial payment, credit cards, etc.). You can find the function in the management interface under Products/ Payment Methods. Do I need to leave the POS app to configure my system? No. You can do that within the app under 'Settings'. If you want to do more detailed changes, switch to the management interface. How can customers pay with their cash or credit card? With the mPOS-Terminal from cardcomplete it is possible to define the payment type 'cardcomplete' after you have configured the according setting in the management interface and installed the 'mPos-App' from cardcomplete. We support most of the Epson printers as well as two Bixolon and one Star printer. If you are unsure which hardware fits the best just leave us a message or call us.